Located in one of the more prestigious gated communities, The Hamlet @ West Haven, this spacious 1-storey home boasts 4 large bedrooms and 3 bathrooms. In total, this home can sleep 10 guests comfortably. 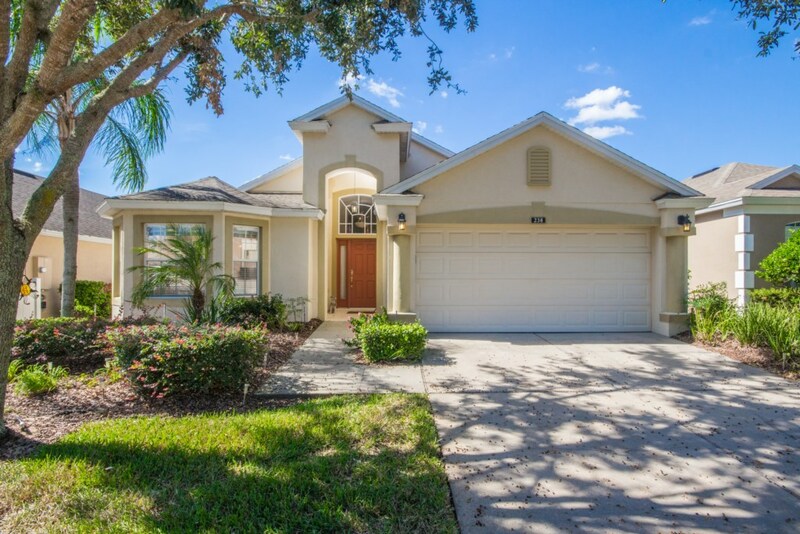 The safe and peaceful neighborhood is the ideal place for a family getaway and the proximity to some of Florida’s number one attractions is appealing. This delightful villa is well-furnished and equipped with everything you need to make your stay an enjoyable and relaxing one. 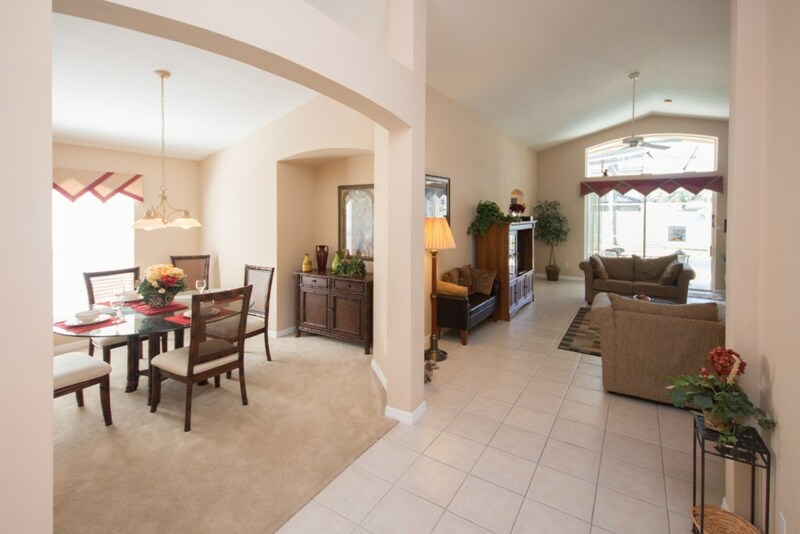 Relax in the spacious and sunny living room that includes a formal seating area with comfy couches and an entertainment cabinet that has cable TV, a DVD player and a VCR. With large windows, you’ll be able to get a lot of natural sunlight, and the adjoining French doors open wide onto the pretty patio area. 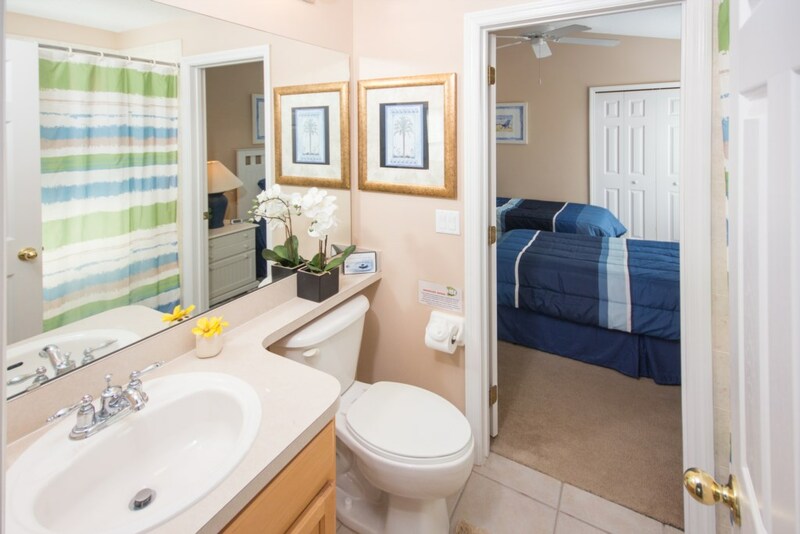 The king-sized master bedroom has a king bed and its own en-suite that includes a big walk-in shower cubicle with a sliding door, a separate bath to relax in, and double vanity basins for him and her. It also comes with its own TV. 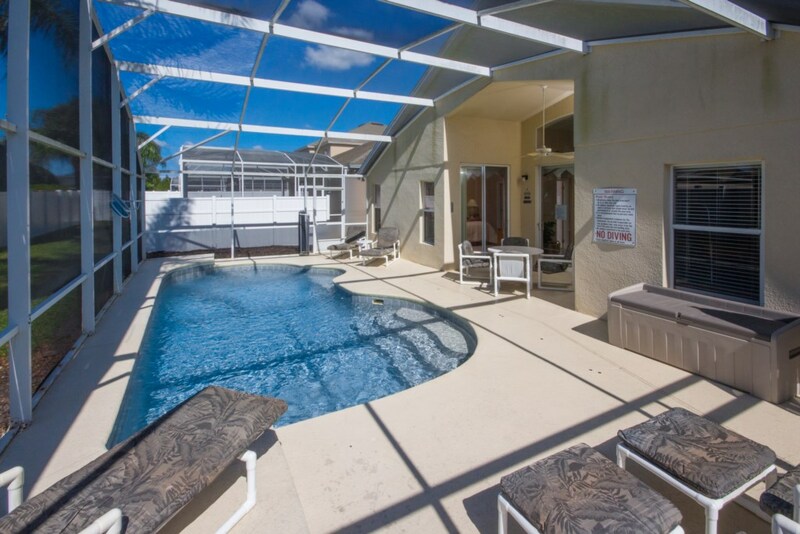 You’ll even have the luxury of walking straight into the pool area via the large patio doors. 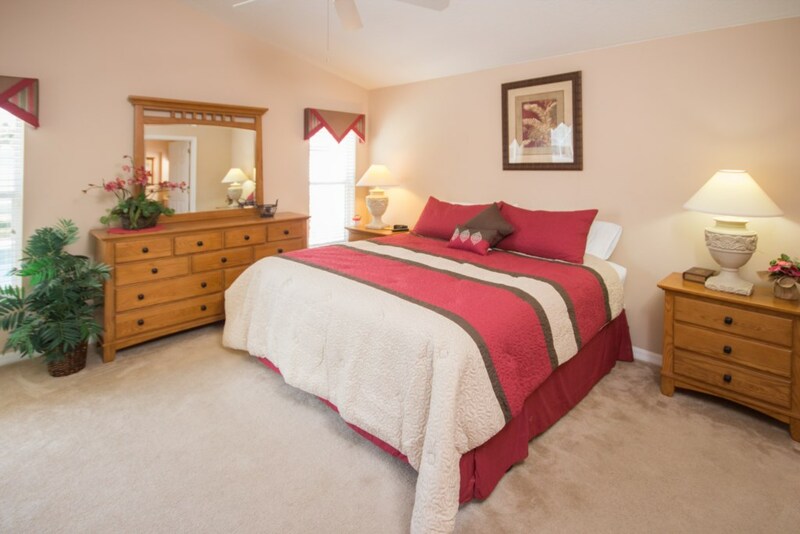 The second bedroom has a queen-sized bed and personal TV. 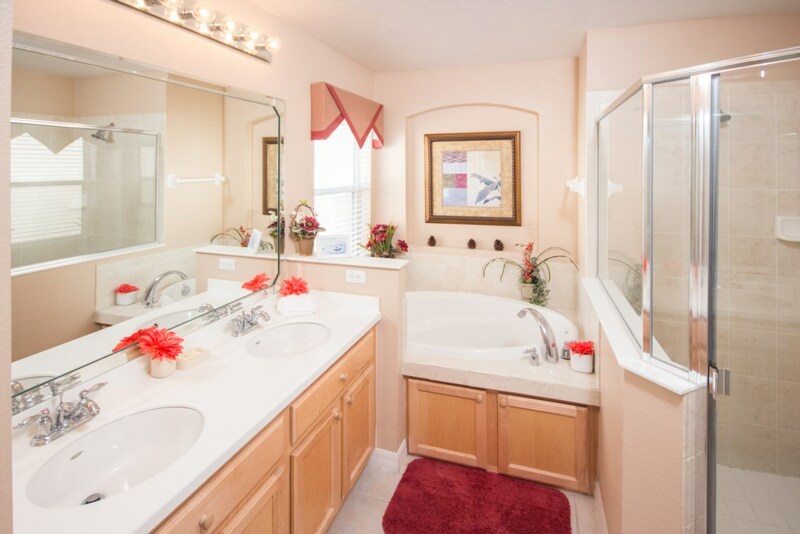 You’ll have direct access to the family bathroom which has a large bath to relax in, an overhead double headed shower, and a single vanity. 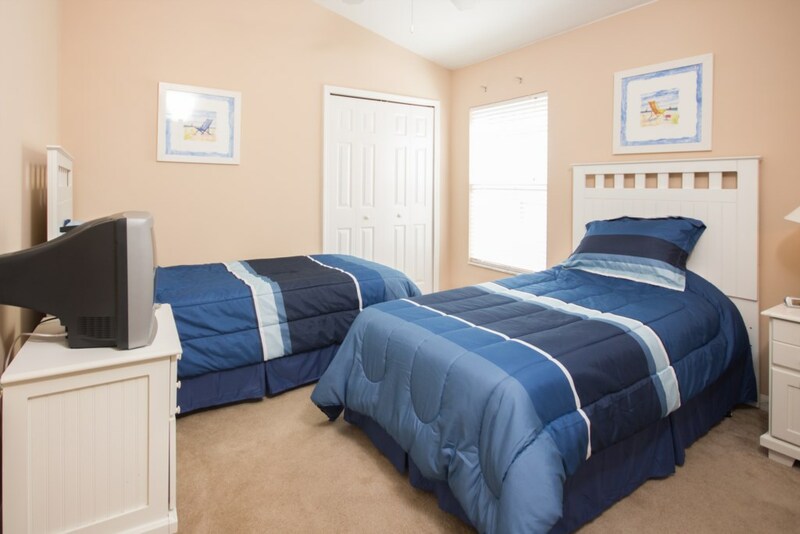 The 2 twin bedrooms are ideal for any younger people staying in the home and are comfortably furnished. The home comes with a good supply of towels and bed linen, and you’ll be able to find plenty of spare linen in each bedroom’s closet. 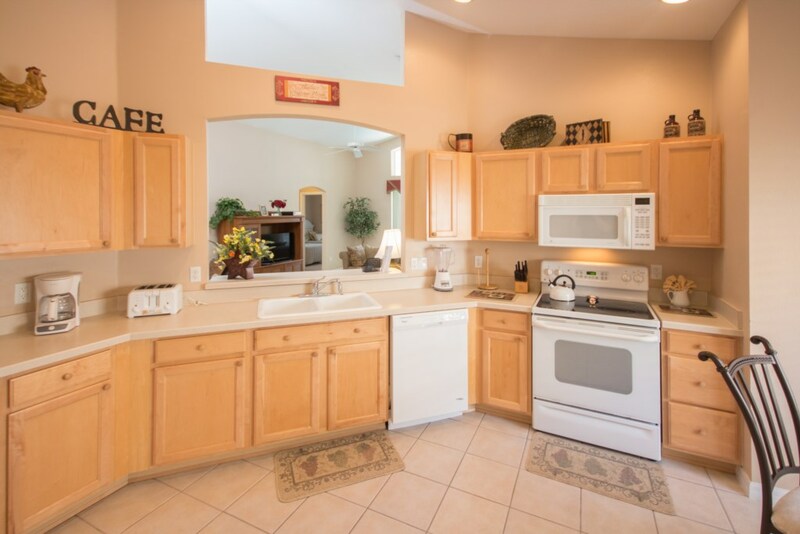 Cooks will love the modern kitchen with all of its conveniences which include a stove, oven, microwave, dishwasher, and an American sized fridge freezer. The small breakfast nook is light and cozy and can easily seat 4 people. 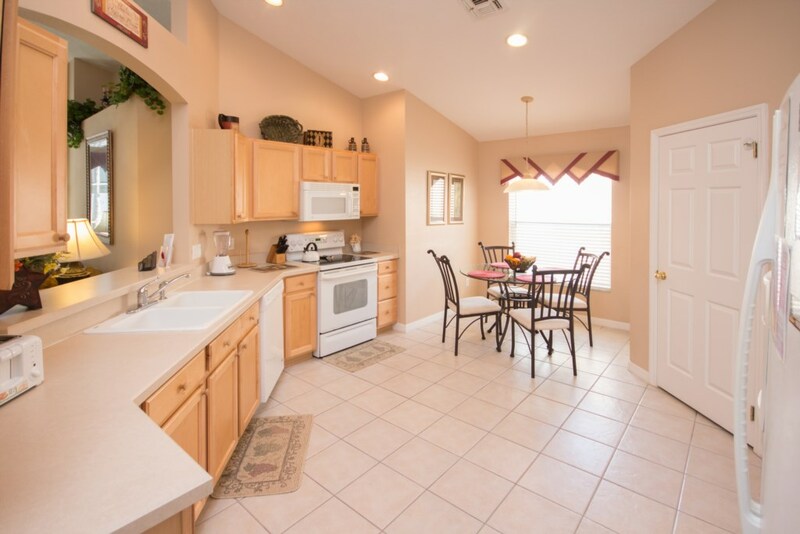 It’s the perfect place to grab a quick bite to eat or alternatively catch up on emailing for work using the fast, wireless Internet that runs throughout the home. 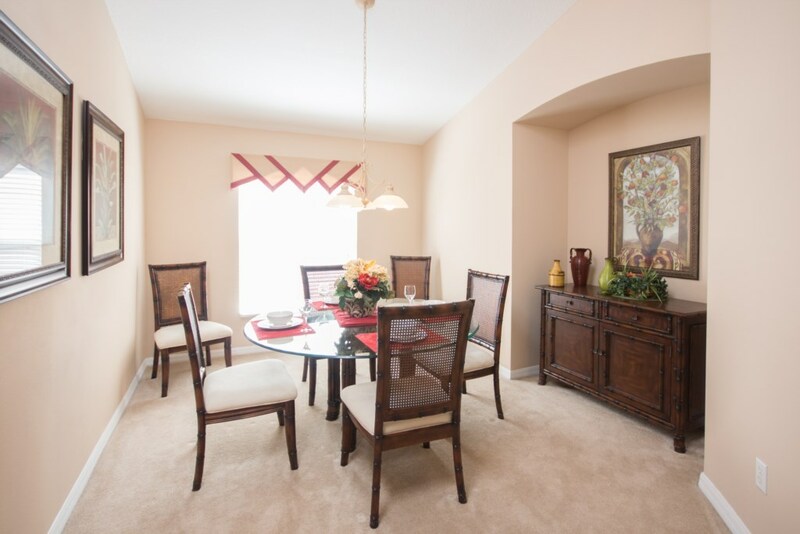 The formal dining room is a beautiful area where you’ll be able to dine in style. The large dining suite can seat 6 people. 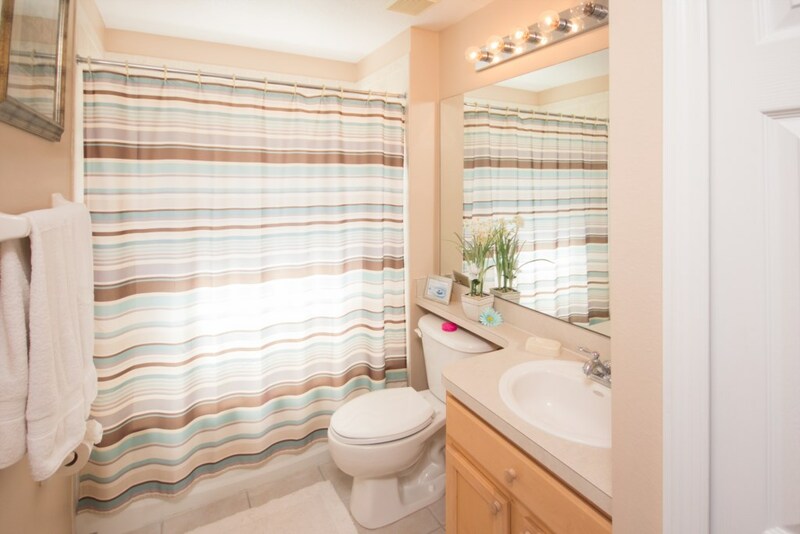 There’s also a laundry area, which has a large washing machine and dryer. Game lovers with enjoy the in-house game room! 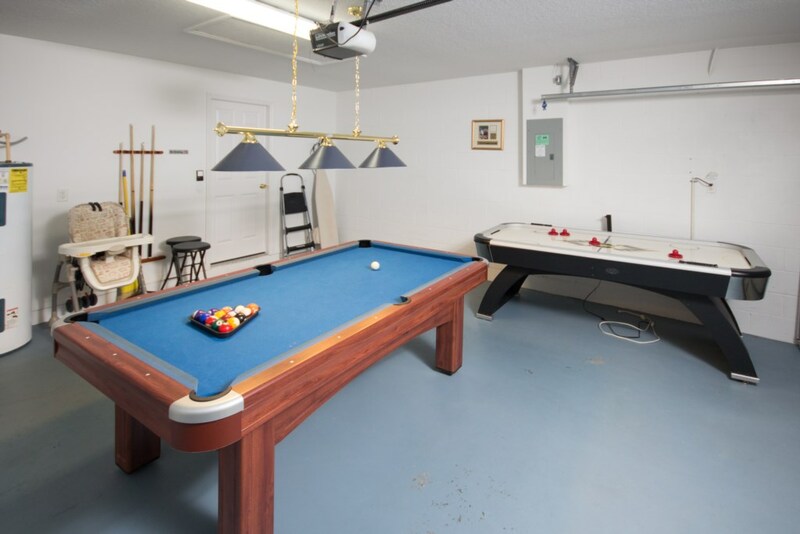 Enjoy playing all the air hockey you want and enjoy playing pool on the 7-ft table. But let’s not forget the pool area, which has a large patio area and a west-facing pool, which offers you pretty views of the greenery around you and splendid evening sunsets. 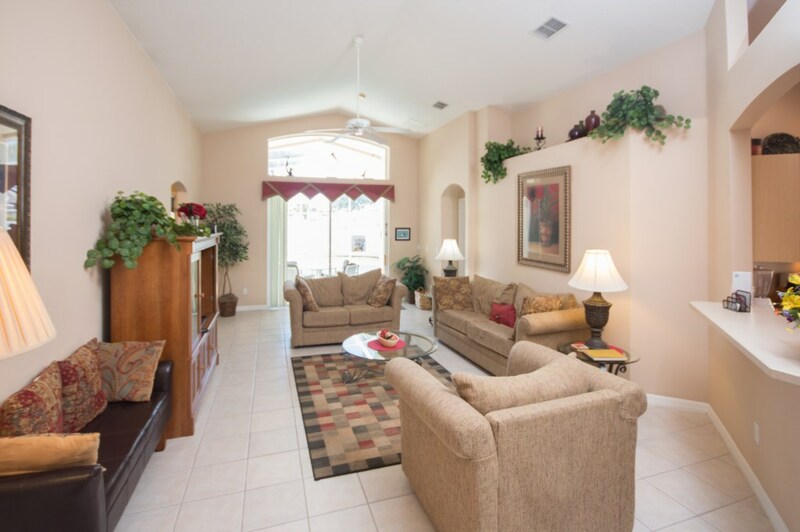 There are a number of sun loungers available to relax on or if you need some shade, there’s a well-covered lanai area that boasts a new patio set. The Hamlet at West Haven is a secure gated community accessed through an attractive landscaped boulevard and is easily one of the very best locations around. The Hamlet offers a range of recreational activities including a community pool, tennis court and two kid’s playgrounds – one for kids aged 2 to 5 years, the other for kids aged 5 to 12 years. 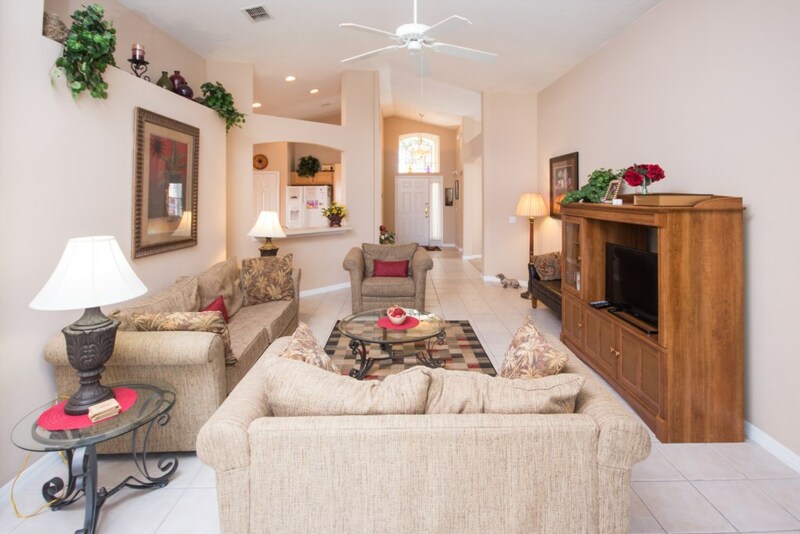 All theme park attractions are easily accessed, and the Disney gates are just 15 minutes away. There are many high-quality golf courses within a 5 to 7-minute drive such as at Champions Gate, Reunion and Highlands Reserve. There is a Publix supermarket at Champions Gate that provides convenient shopping. Orlando International Airport is about a 40 minute drive while the beaches on both the Atlantic and Gulf coasts are about an hour away. 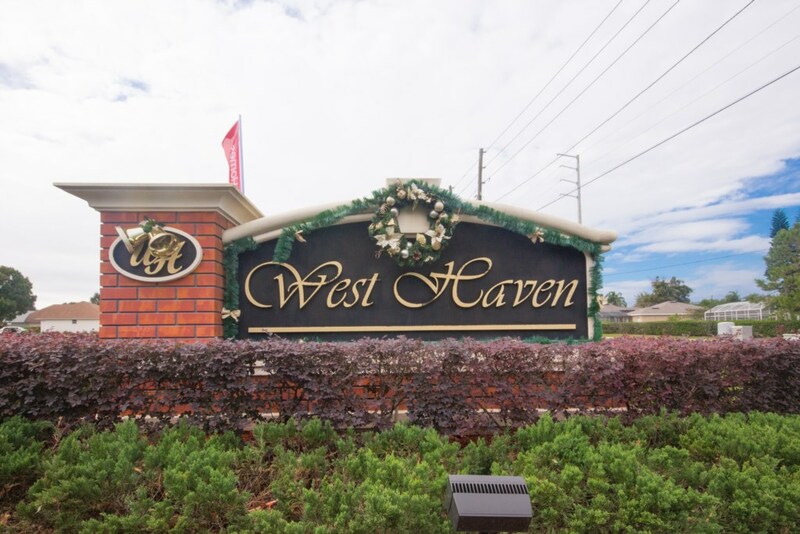 The Hamlet @ West Haven is a secure gated community accessed through an attractive landscaped boulevard and is easily one of the very best locations around. The Hamlet offers a range of recreational activities including a community pool, tennis court and two kid’s playgrounds – one for kids aged 2 to 5 years, the other for kids aged 5 to 12 years. 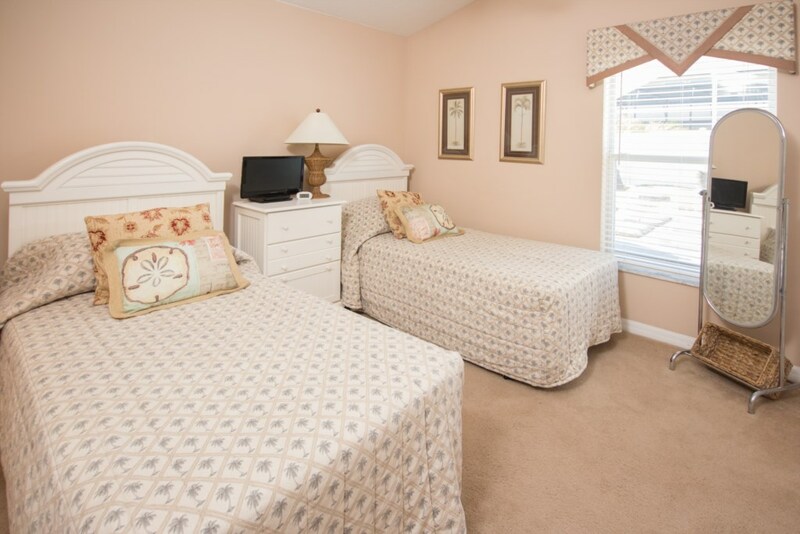 All theme park attractions are easily accessed, and the Disney gates are just 15 minutes away. There are many high-quality golf courses within a 5 to 7-minute drive such as at Champions Gate, Reunion and Highlands Reserve. There is a Publix supermarket at Champions Gate that provides convenient shopping. Orlando International Airport is about a 40-minute drive while the beaches on both the Atlantic and Gulf coasts are about an hour away.